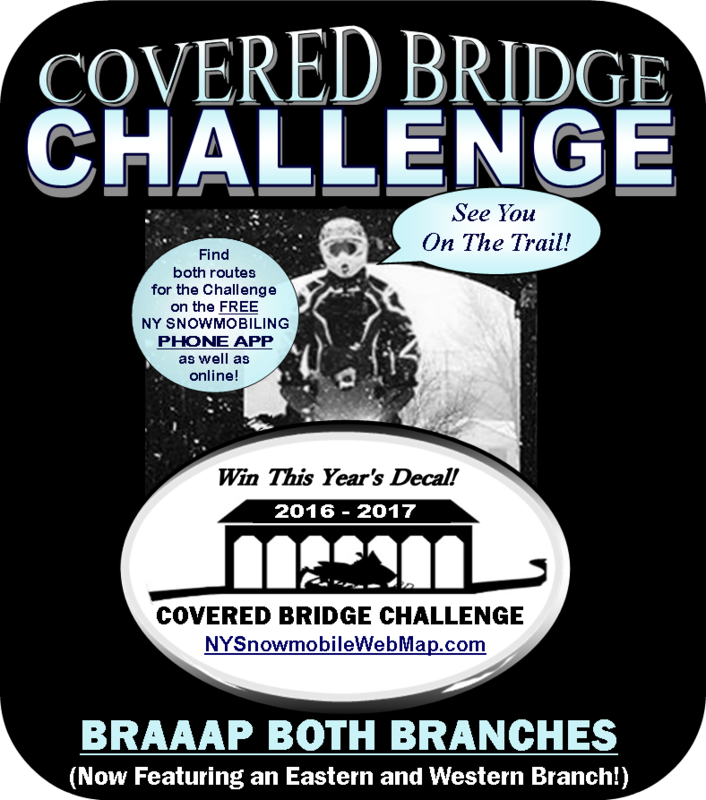 Simply post pics of you, your sled and each of five bridges found on either the western or eastern branch. No need to ride the entire route. Feel free to customize, and substitute a "Wildcard" bridge for any one of the five! Once your five pics are posted, your Winner's Decal is on it's way! Linger long at each location - this is not a race, but a reason to discover trails never ridden! Attend a nearby club event while there. 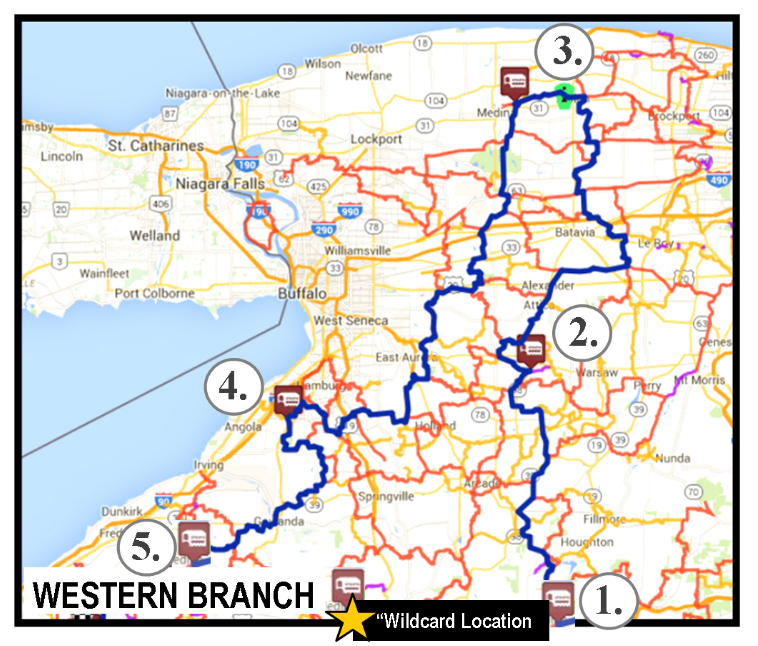 Clubs can now post events on the map - they also show up on the NY Snowmobile Phone App (now free!) It does not require cell phone service, includes turn-by-turn navigation, and has both routes on it! GPS map overlays can be purchased, too. 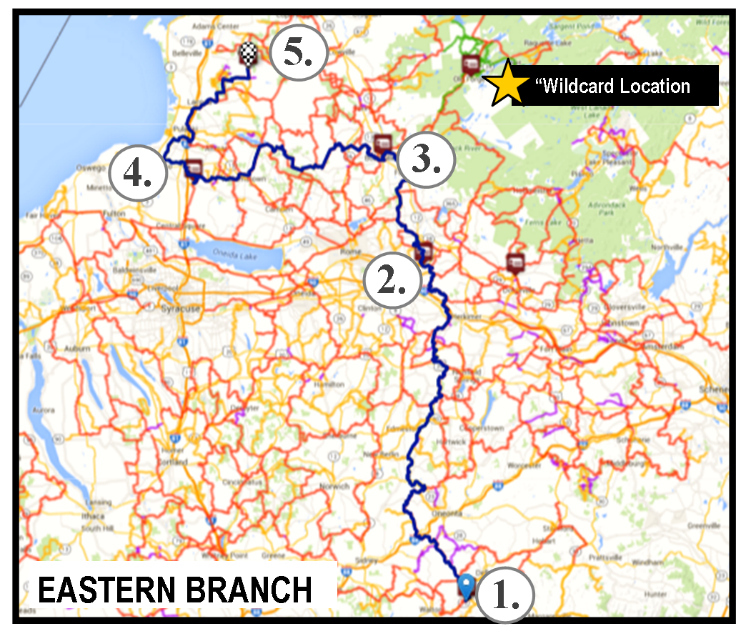 Both routes are also found on our interactive map, by clicking on PUBLIC ROUTES. How-to videos available. "Grab your paper maps and our no-reception-needed phone app or our Garmin GPS overlay and you will know exactly where you are, on and off the trail, regardless of the weather. This helps to build the confidence needed to travel to new destinations and explore new trails. 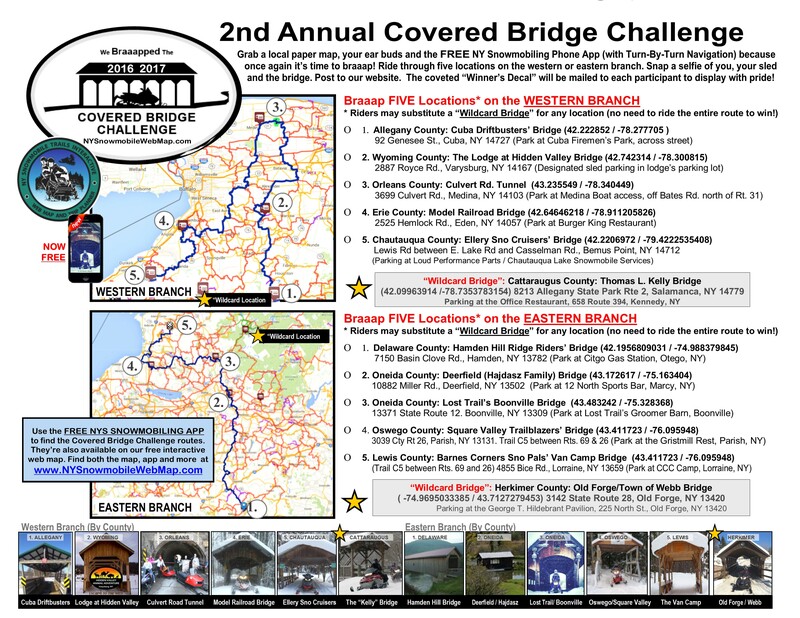 That, my friends, is what the Covered Bridge Challenge is all about!" Trading in your car can be stressful. We abide by the no haggle rule. Come on in and let us show you how easy and pleasant buying anew car can be!